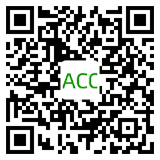 ACC is a team of young, enthusiastic professionals who are passionate about renewable energy. We have partnered with the world’s top financial institutions and built successful projects across China for the world’s leading companies. One-hundred percent of ACC’s projects use renewable energy, and we operate and maintain our projects for the long term. ACC & Tsuneishi Connect World’s Largest BIPV Project. The Largest Rooftop Monocrystalline PV Station in Central China Cooperated by ACC and WISCO Has Been Put Into Operation. ACC Team Leaders Visit Coca-Cola Shijiazhuang Site. Asia Clean Capital Ltd. (“ACC”) is a leading clean energy solutions developer that serves large multinational and domestic firms throughout China. The company is the only distributed solar developer invested in by Goldman Sachs and DCIF in Mainland China and was named the “Best Distributed Solar Developer” by TÜV NORD Group in 2016. Focused on rooftop solar projects, ACC invests 100 percent of the project costs and provides the design, engineering, equipment, government approvals, installation, and long-term maintenance of solar systems. A Solar PV system uses PV modules to convert sunlight into electricity. The system can be located anywhere exposed to sunlight, including rooftops, verandas, building façades, the ground, parking lots, etc. Systems are typically connected to the local utility grid to provide additional electricity for users’ daily use. Most rooftops, including concrete, color steel, and tiled roofs can be used for PV installations, but the load bearing capacity must meet the panel weight requirements. A Ground Energy system provides energy efficient yearround heating, cooling and hot water for buildings and industrial processes. When used for heating and cooling a building, the GES replaces conventional chillers and boilers while retaining the buildings standard internal HVAC distribution systems. A GES is also a great source of thermal energy for industrial processes which require heating/cooling supply in the temperature range of 4 – 60Celcius. Solar Catfish Arrives: How Will this Dark Horse Solve the Problem?